Earlier this month, Bandai and Tamashii Nations worked together with Nintendo to release the first fully posable Mario figure in the popular S.H. Figuarts line! In order to celebrate the occasion, Bandai artists and animators worked together to make a stop-motion animation using the figure and its accessory sets! Based on the concept of the classic zoetrope, invented in 1833 as the first animation method, the team put together a looping scenario with a number of Mario figures, as well as mushrooms, coins, blocks, pipes, and more, on a multi-level plane in order to create a fun full-motion experience for the viewers. In a video released on their official website, Bandai shows off glimpses of behind-the-scenes work on the animation, including planning, design concepts, and more. The video ends the video with the animation itself, showing the spinning platform from several angles and perspectives. The animation shows off the S.H. 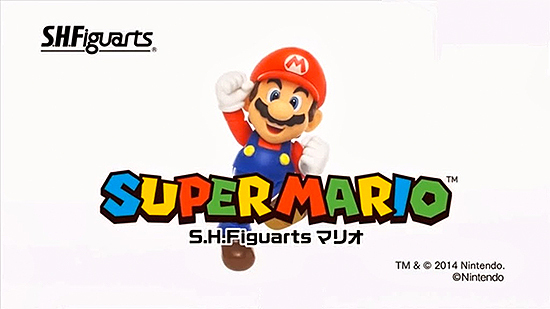 Figuarts Mario figure and its degree of possibility along with its accessories, making this video a must-watch for fans everywhere!